What comes to mind when you hear the name of a women’s magazine? Fashion? An image of daily living? Tips on child education or housekeeping? Most magazines aimed at women have gorgeous female celebrities on the cover. They are also portrayed as having flawless skin and slender bodies. Articles in the magazines tend to focus on fashion trends and how to attract males, so are these magazines really targeted women? Fashion and cosmetic advertisements that target women and articles that center on make-up tips and cooking recipes are not really for women, but instead are made, generally by men and their idea of what society thinks women want. Then, what would constitute a true women’s magazine? Recent popularity among feminism magazines may have the answer. A feminism or feminist magazine is broad notion. According to the official homepage of Feminist Majority Foundation, there are 47 feminist magazines worldwide and over 10 different genres. Genres vary from general interest, academic, career, and health, to news/politics. Among them, ‘Ms. Magazine’ is likely the most well-known. It was founded by Gloria Steinem and Dorothy Pitman Hughes, both second-wave feminists and sociopolitical activists. Although categorized under general interest, it prints not only book reviews but also investigative reports on global issues from a feminist’s view. The magazine also covers feminist events. In a documentary about co-founder Gloria Steinem, Steinem said, “I realized as a journalist that there really was nothing for women to read that was controlled by women”, and this motivated her to start Ms. Magazine. Her comment reflects the absence of reading matter for women and the reason for the growing feminist magazine industry. Birth of Infinite Feminist (IF) arose in Korea for the very same reason as Ms. Magazine. IF actually is an abbreviation of ‘Infinite Feminist, I’m a Feminist.’ It was first published in 1997 and until 2006, various scholars, journalists, fi lm critics, and other women from diverse career fields cooperated to make the magazine. The basic objective of the magazine was to create something that sincerely reflected the desires of women and that educated the rest of society on women’s true desires. Under this initiative, the magazine dealt with sexual harassment by male intellectuals, the abolishment of hoju-je (the patriarchal family system law), the granting of additional points to male applicants who had completed military service, and others over its 9 years. The magazine couldn’t overcome financial troubles, and Uhm Eulsun, publisher and representative director of IF, called upon support from readers saying, “Financial difficulty is forcing us to consider closing. We need more readers and companies willing to advertise in the magazine to make it work. Unfortunately, readership has been decreasing and as such companies are not willing to advertising in the magazine.”1) IF came to an end in 2006 and with it so did feminism magazines for a long period. With this inactivity of feminist magazines, there was a need to fill the void. Hence, magazines that reflect women and the new generation of feminism emerged. 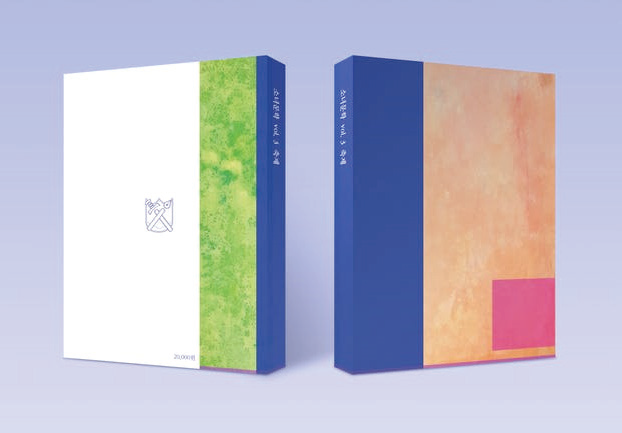 They include ‘FORSIM’, ‘Small letter f’, and ‘Sonyeomunhak’. Why has there been renewed interest in feminism magazines? First and most reason is the rage among women about misogyny in a male-dominant society. 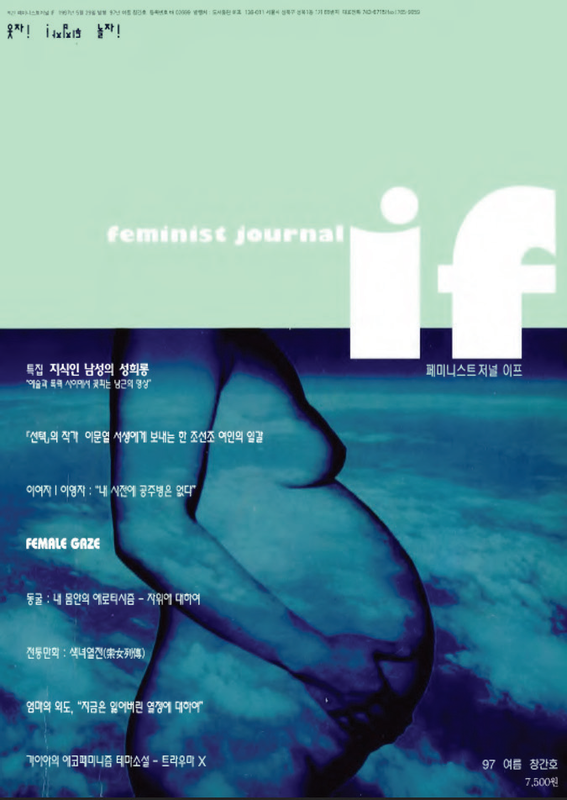 In one interview, Yu Sukryeol, the first editor-in-chief of IF, pointed out that “Misogyny is more serious than it was in the past. In the old days, male intellectuals consciously and unconsciously expressed it culturally. But now it has become common to see it being expressed more aggressively.”2) Acts of misogyny have explored in more recent days like the ‘Gangnam Station Murder’ and the ‘Maxim Korea Cover’ cases. In the Gangnam station murder case, a female was killed by a complete stranger because the man felt women were discounting him. In the latter case, Maxim Korea used an image on its September 2015 cover that attracted fierce criticism. The cover highlighted kidnapped and murdered women. Korean society is not yet willing to admit crimes of misogyny, so most of the outcries were from men who said the magazine was generalizing the issue, which sparked backlash from women. These cases along with others have sparked new interest in feminism magazines. One such new magazine is ‘FORSIM’. The magazine mirrors or parodies gender swapping according to gender stereotype and misogyny expressions. Mirroring Maxim Korea, FORSIM set out to dispel the notions by males that those crimes could not be generalized. Mr. Shin, Editor-in-chief said, ”During the Maxim cover controversy, I met a number of men who treated the crime as humor. I used FORSIM to show them how it would be if the victim had been male.”3) Like this magazine, feminist magazines are increasing and growing in popularity out of anger. A new way to raise funds for magazines has also brought about new life to feminism magazines. Most magazines now make use of crowdfunding sites like Tumblbug. On the site, magazines explain and their objective and vision in detail. Interested people who want to support the magazine then send in financial contributions. Readers of these magazines are interested in feminism. Fundraising clearly shows this support. For instance, the first issue of ‘Movie, feMinism’ raised original goal over 444%. Most feminist magazines now collect funds and then proceed with magazine edition creation. This new method eases publication as it become relatively easy to put the magazine together when all necessary funds are readily available on hand. Because magazines are no longer dependent on company advertisements for their budgets, publishers do not need to worry as much about stock. Despite the advantages, to end of IF, feminism magazines are able to operate as long as enough readers donate. Moreover, magazines are now adding reward options to donation collection that creates incentives to continuously donate and as such ensure a budget for the magazine. This type of reward system acts as goods marketing. 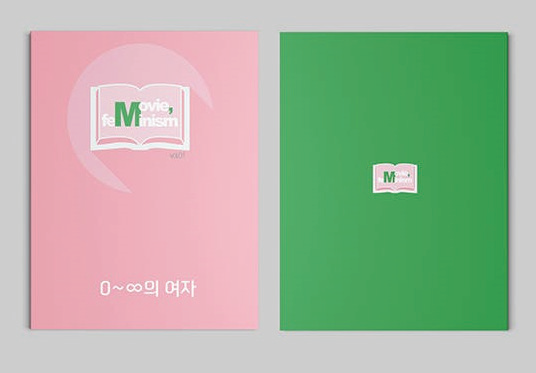 For example, the above mentioned ‘Movie, feMinism’ magazine operates with a reward system including logo badge. The growing scale of feminism book publication has brought about a boom in magazine sales. According to online bookstore Aladin, from January to July 2016, sales of ‘women’s studies in the gender’ section grew by 178%. This represents an increase of over two times that of the same period in 2015. For the same period, online book store YES24 also recorded a similar increase of 114.7% for ‘women and feminism book’ sales. Unlike in the period from 2011 to 2014 when feminism book sales were at record lows, today the keyword in publishing is feminism.4) Because the issue of feminism is hot nowadays, other magazines are now significantly covering feminism in their publications. 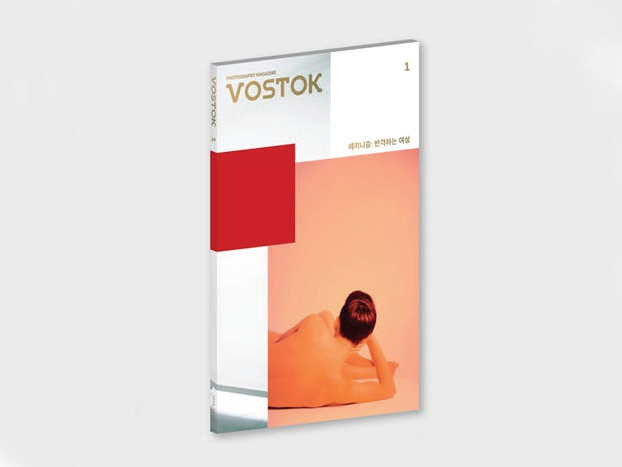 Photo magazine ‘VOSTOK’ featured ‘feminists on the counterattack’ as the theme for its first issue of 2016. The issue centered on women photographers who challenge the idea of women being only the models of photographs not the ones taking the photos. 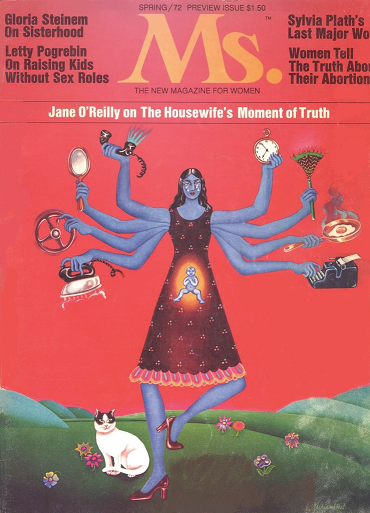 More than two-thirds of the magazine is filled with topics about feminism. Literary magazine ‘Littor’ also looked at feminism in its second issue. In that issue, the cover story was on female scholars’ studies on feminism through Korean history. Important and influential work by female authors and journalists were highlighted in the cover story. This remarkable attention to feminism and the growing sales of feminism books is the new trend in the publishing industry. Today’s feminism magazines cover specific areas of feminism. Readers know from magazine covers what the magazine deals with and can determine whether it matches their interest. 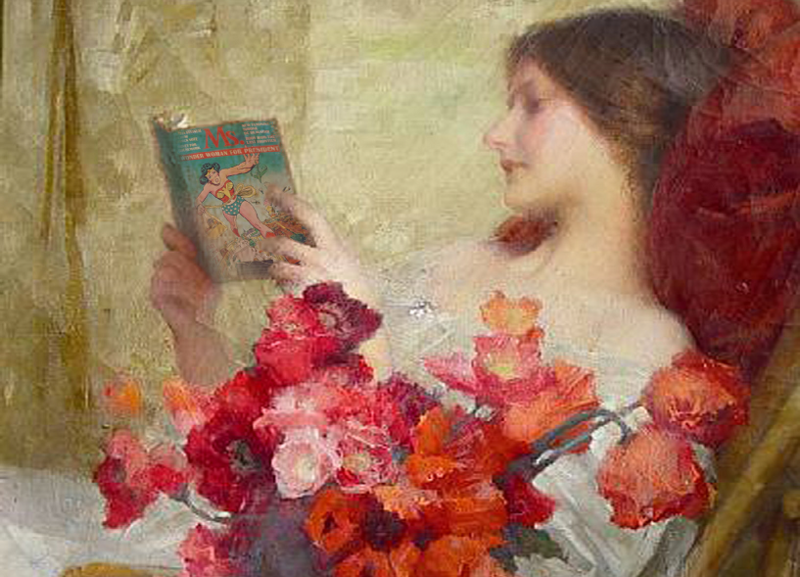 Art is one area that the magazines are capitalizing upon when creating their covers. ‘Small letter f’ is a feminism visual arts magazine. 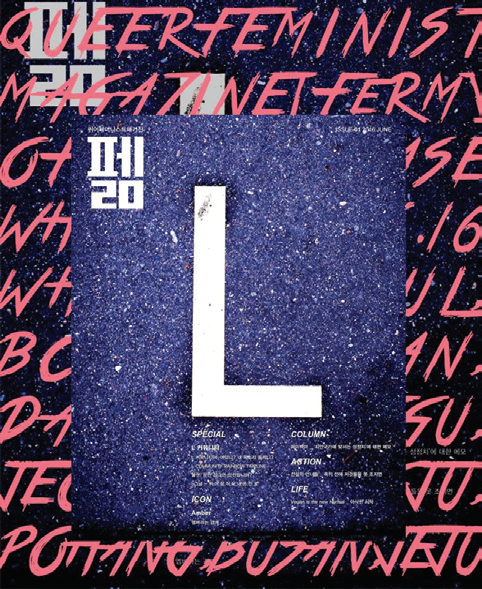 The title of the magazine uses the small letter f rather than the capital letter F to symbolize feminism in an individual’s everyday life. The magazine incorporates various artwork such as animation, painting, and pottery to spotlight the feminism theme. The artwork makes readers sense the significance of feminism through artistry. 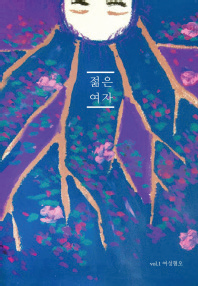 ‘Sonyeomunhak’ is a literary magazine that covers photographs. Work in the magazine is created by feminists and sexual minorities. Lee Harim, Editor-in-chief, said, “In a society comprised of male judges, characters should not be sentimental and the writing style should be bold. I am voicing my complaints to prevent to uttering of women.”5) The magazine gives females and sexual minority writers the chance to express themselves. In the fi lm magazine section, magazines like ‘Movie, feMinism’ and ‘Second Film Magazine’ are presenting movies that deal with feminism and/or make viewers consider feminism ideals and objectives. More specifically, writers discuss female characters’ narration in films and analyze how effectively the fi lm dealt with various issues. These articles expose any superficiality of female characters and simply consumed. 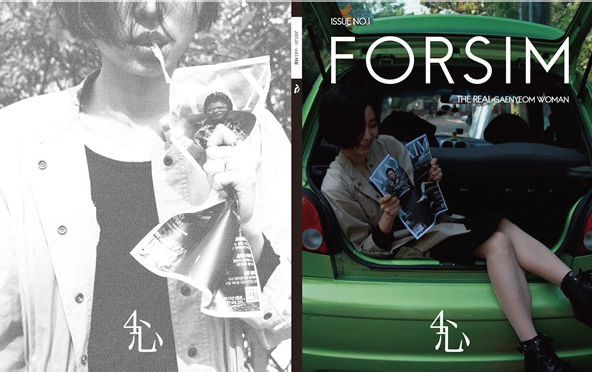 FORSIM started as mirroring magazine but later became a feminism magazine covering general interest topics. Readers are drawn in by the visual mirroring. For example, FORSIM once used the photo of a woman who tears Maxim while seated in the trunk of car on its cover. It was a clear mirror image of Maxim Korea’s problematic cover. Inside the magazine, FORSIM does not run cosmetic advertisements as is typically done in women’s magazines; instead, its content deals with topics of general interest like other magazines such as IF and Ms. Magazine. FORSIM introduces its readers to great women in Korean history and recommends feminism books through its review articles. It’s mirroring of other covers and its women-centered content help readers sense sexism and misogyny in society even occupied magazines. After FORSIM’s first issue, journalists started focusing on more serious cover topics like sexuality and sexual violence in war. Other popular magazines are reflecting the diverse voices of women. For instance, the theme of the magazine ‘Quarterly Alone’ is the freedom to live without a romantic relationship. The magazine started 2014 and was, at that time, titled ‘Jokes for Old Maids’ and dealt with single women issues. The magazine pointed out the absurdity of Korean society’s thought that dating and marriage were natural and joyful. It attracted a strong bond of sympathy from among its readers. In 2016, the first queer feminist magazines ‘FeRM’ and ‘Young Woman’ were published. FeRM covered sexual minority issues and feminism. For example, its first issue centred on human rights organizations for sexual minorities, feminism events, and spotlighted interviews with feminists. The first issue of Young Woman looked at misogyny. Articles included various writings on the actual sexual violence experiences of women as well as their experiences to verbal abuse and date violence. Because it is easy for many people to sympathize with these magazines’ content and the content differs from usual magazine articles on topics like ‘what a man likes’ and ‘how to catch a man’, people are pulled to them. Feminists now have a new platform on which to voice themselves. IF publishers expanded into podcasting. It was expected that audio fi les of issues related to feminism would spark interest from the general public. Topics included the connection between politics and feminism. It is like subscribers listen audio fi les were shortened audio versions of the original IF article and were released weekly. 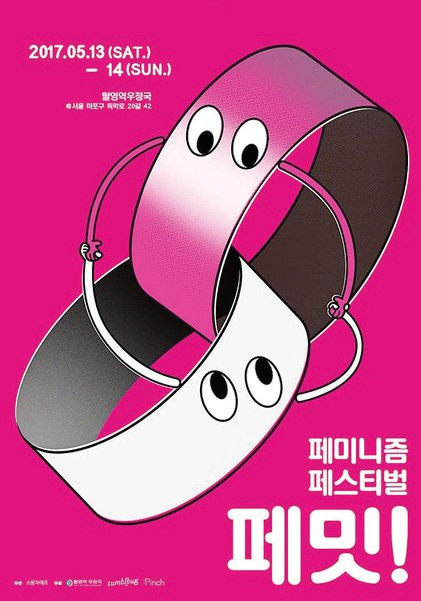 On May 13 and 14, the feminism festival ‘FEMEET’ was held in Mapogu, Seoul. Small letter f magazine participated as one of the event hosts. A total of 144 million won was raised for the event.6) On opening day, start and end times were adjusted because of the huge number of unexpected visitors. The festival gave feminism magazine creators the opportunity to meet face-to-face their supporters and also gave various genre creators the chance to interact and discuss the future of feminism magazines. Feminism magazines are prepared to go beyond paper, provide platforms for feminists to voice loudly their ideas, and inspire people to ponder all that is wrong in society so that change is made.